Terranuova Bracciolini, Italy – February 18, 2013 – Power-One, Inc. (Nasdaq:PWER), a leading global manufacturer of renewable energy and energy-efficient power conversion and power management solutions, today announced its extended three-phase string inverters, the AURORA PVI-8.0-TL and AURORA PVI-6.0-TL inverters. With an output of 6kW and 8kW respectively the new inverter versions are the latest addition of Power-One’s AURORA PV inverter family. The new devices are the smallest transformerless three-phase string inverters the company offers and are ideally suited for rooftop installations. Due to its two independent MPPTs, the devices allow for energy harvesting from two sub-arrays with different orientations. Moreover, a wide input voltage range and high efficiency values of up to 97.6 percent permit deploying the inverters in different installation conditions. 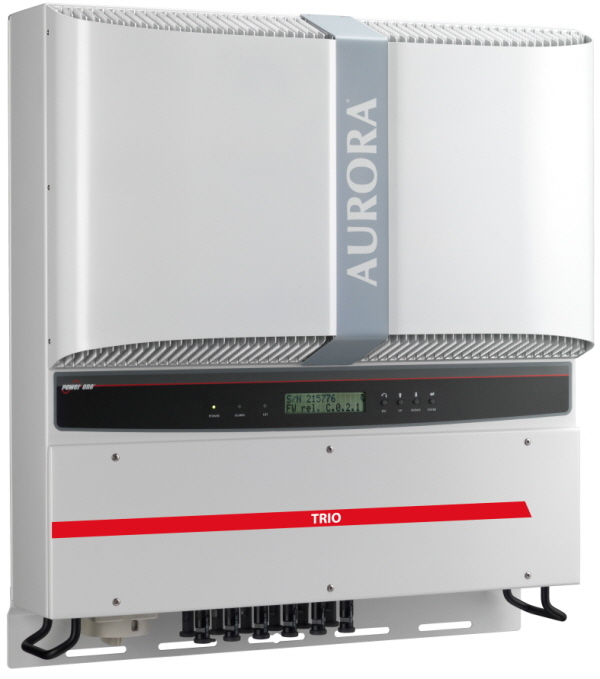 This does not only ensure a maximum energy harvesting, but also guarantees the high reliability and flexibility that distinguish Power-One’s AURORA inverters. To further increase the product life expectancy and long-term reliability, Power-One uses an electrolyte-free power converter. Thanks to its robust IP 65 outdoor enclosure, the devices are suitable for unrestricted use under any environmental conditions. In order to fulfill the international standards, the extended inverters are also available in a version (-S and -FS) with protected fuses as well as an integrated DC disconnect switch which allows separating the device from the power grid. To learn more about Power-Ones AURORA® inverter products, please visit www.power-one.com/renewable-energy . Power-One is a leading provider of renewable energy and energy efficient power conversion and power management solutions and is the world’s second largest designer and manufacturer of photovoltaic inverters. Its renewable energy products enable the industry’s highest yielding conversion of power from both solar arrays and wind farms for use by utilities, commercial enterprises and homes. Power-One has a 40 year history as the leader in high efficiency and high density power supply products for a variety of industries including renewable energy, data storage and networking and industrial and network power systems. The company is headquartered in Camarillo, CA and has global sales offices, manufacturing, and R&D operations in Asia, Europe, and the Americas. Power-One is traded on NASDAQ under the ticker symbol PWER.